MLA (1921-1922), MLA (1923-1927), MLA (1927-1932), MLA (1933-1936), MLA (1937-1940), Mayor of Winnipeg (1935-1936, 1938-1942). Born in Lanarkshire, Scotland in 1882, in a family of Plymouth Brethren, he was educated in Dunfermline. He came to Winnipeg in 1906 and, although a cooper by trade, was employed by North-West Laundry as a driver of a horse-drawn delivery wagon. He was a member of the Social Democratic Party, co-founder of the Winnipeg Socialist Sunday School, as well as business agent and advertising manager for the Western Labor News. He was employed for a time as an automobile salesman. 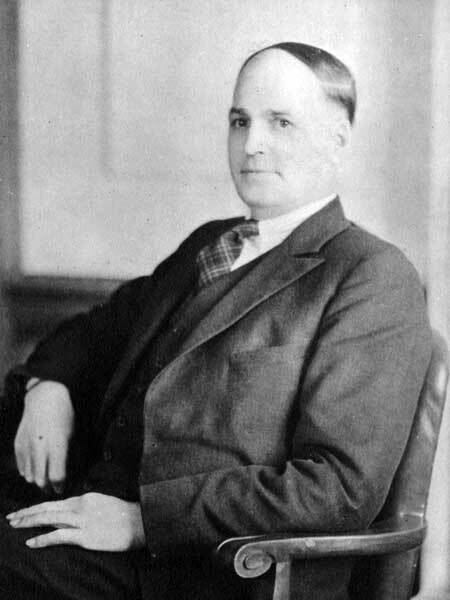 He was Winnipeg alderman for Ward Five from 1916 to 1919. Queen was active in opposing the Lord’s Day Act in Winnipeg. He served as chairman of a meeting at the Walker Theatre of 22 December 1918 which passed several radical resolutions. He was arrested on 17 June 1919 by the Mounties on charges of sedition connected with the Winnipeg General Strike, defended himself, and was sentenced in 1920 to one year in prison. He was elected as an MLA in 1920, 1922, 1927, 1932, and 1936, and served as leader of the Independent Labour Party from 1930 to 1935. He was defeated in the 1941 provincial election. He served as Mayor of Winnipeg seven times (1935, 1936; and from 1938 to 1942) , and was elected in part as a moderate alternative to Communist Party candidates. On 25 June 1908, he married feminist Katherine Ross at Winnipeg. They had five children: Gloria Queen-Hughes, John Queen (1910-1960), Jean Queen (?-?, wife of R. A. Wise), Flora Queen (?-?, wife of John Hamilton), and David Queen (?-?). He died at his Winnipeg home, 158 Ruby Street, on 14 July 1946 and was buried in the Brookside Cemetery. He is commemorated by Queen Street in Winnipeg. Profiles in Dissent: The Shaping of Radical Thought in the Canadian West by Harry Gutkin and Mildred Gutkin (1997), pages 343-381. “Queen funeral today,” Winnipeg Tribune, 16 July 1946, page 1. “Final tribute to John Queen,” Winnipeg Free Press, 18 July 1946, page 3. “Ex-mayor’s son dies in U.S.,” Winnipeg Free Press, 23 June 1960, page 46. We thank Stefan Epp for providing information used here.